Hybrid Mail certainly isnt new although many existing services serve only the business-to-business market. Elementary Mail is bringing a fresh introduction to this already popular concept, with a consumer-geared mail service for the everyday person. Everyone has shared the frustration of keeping up with snail mail; running to the Post Office for a stamp, or taking envelopes from work. Thanks to Elementary Mail, those looking to send postal mail now need nothing more than a computer and a cup of coffee. The new online mailing service allows users to send postal mail to any address in the world by doing nothing more than spending a few minutes at their computer. While regular letters are the obvious offering, Elementary Mail really does have a first-class range of products available. From CVs to love letters, personalized cards and even mail-able gifts the web based service is poised to become a godsend to those who do communication the modern way. We dont place a focus on business-to-business orders, which usually have to be placed in extreme bulk. We focus instead directly at the consumer allowing single orders with no quantity or contractual requirements says Dudding. He continues, This is perfect for job seekers who may want to keep a CV on file with us and quickly mail it they can also use one of our CV templates to give it a professional look. The service is also set to become popular among holidaymakers who want to send mail back to the UK quickly, as well as the over-50s market, who want to keep communicating in a traditional way. Everything on the site is neatly laid out, with templates and guides available for most products. As mentioned earlier, the site also contains a gift shop for those looking to ship a last minute gift, or send one while away from the UK. Emails and texts may dominate communication these days, but letters are absolutely still needed. We became aware that most households dont have the necessary stationary on hand anymore. Thats why weve moved the process of sending postal mail onto the internet making it simple, affordable and fast he concludes. Elementary Mail allows users to send letters, cards, gifts and many other postal items to any address in the world, without ever having to leave their home or workplace. With guides, templates and examples on hand for a myriad of items, users simply create each document to their liking and leave Elementary Mail to dispatch it the very same day. This entry was posted in Which Open Source Blog and tagged Consumer, Deliver, Elementary, FirstClass, Hybrid, Mail, Market, Service on March 1, 2013 by Administrator. expresscopy.com, leader in online design, print & mail postcards in 24 hours, helps Realtor, Bob Grooms, elevate above his competition. The laminated postcards that go to my sphere are high quality and truly set me apart, commented Bob Grooms. Thousands of small businesses across the country use expresscopy.com affordable postcards because the professional quality sets them apart from competitors in their market place, explained Joshua Carlsen, Director of Marketing with expresscopy.com. Special Offer Save 20% off postcards on your first mailing when you enter promo code PR4108 at expresscopy.com. Located in Portland, Oregon, expresscopy.com is the leading provider in online design, print & mail postcards with 24-hour turnaround. Customers can upload their own design file or can customize one of the many free online design templates and expresscopy.com will print, address and mail out the professional postcards with their state-of-the-art production facility. For more information, please visit expresscopy.com or contact Joshua Carlsen at 800.260.5887 or Joshua(dot)carlsen(at)expresscopy(dot)com. This entry was posted in Which Open Source Blog and tagged Away, Blows, Competition, Design, Expresscopy.com, Hours, Mail, Online, Postcards, Print, Realtor on February 28, 2013 by Administrator. SpyderLynk, a leading marketing technology company and creator of the SnapTag, today announced that it will be encouraging participation in the U.S. Postal Services 2012 Mobile Commerce and Personalization Promotion by offering its Buy-it-Now Mobile Commerce SnapTags to direct mail customers during the summer promotion. The Postal Service promotion is intended to reinforce direct mails continuing relevance as a marketing channel. The Postal Services 2012 Mobile Commerce and Personalization Promotion offers direct mail customers a discount on Standard Mail and First-Class Mail letters, cards and flats that include a two-dimensional barcode or print/mobile technology that can be read or scanned by a mobile device. When scanned, the technology must activate a link directly to either a mobile-optimized Web page that allows the mail recipient to purchase a product or service or to a mobile-optimized and customized Web page uniquely tailored to the mail recipient and accessible by a personalized URL. As an added incentive, SpyderLynk is offering a 10% discount to the Postal Services direct mail customers that choose SnapTags for their campaigns. Were delighted to offer our mobile shopping and commerce technology to direct mail marketers during the Postal Services summer promotion, said Nicole Skogg, SpyderLynk Founder and CEO. Buy-it-Now SnapTags provide a turnkey solution to engage consumers in a powerful and highly interactive way and convert those direct mail prospects into customers. For direct marketers, mobile provides a new channel to add names to their databases, reduce acquisition costs, and increase ROI. SpyderLynks Buy-it-Now Mobile Commerce SnapTag is a proprietary 2D Mobile Barcode solution enabling marketers to simply, yet elegantly, activate mobile shopping and commerce engagements. Consumers with smart or standard camera phones can use Mobile Commerce SnapTags featured on direct mail to activate a shopping experience or a purchase engagement. SpyderLynks mobile commerce solution packages together shopping templates, transaction processing, a mobile wallet function, social shopping tools and fulfillment capabilities making programs simple and easy to implement. Buy-it-Now SnapTags offer much more than the more traditional QR code because marketers have the ability to fully brand SnapTags with logos and or meaningful icons turning them into interactive marketing tools compared to the Rorschach-looking black box QR code. Additionally, while QR codes must be scanned with an app to begin a dialogue, with SnapTags, consumers only need a camera phone to begin a mobile interactive dialogue and no app is required, meaning they can be accessed by virtually anyone with a mobile phone. Whats more, SpyderLynks smart marketing platform allows marketers to deliver highly targeted mobile campaigns and measure results with pinpoint accuracy. Customer registration opens May 1, 2012 and the promotion period is from July 1, 2012 through August 31, 2012. For more information about the Postal Service promotion please visit: USPS Mobile Commerce & Personalization website. SpyderLynk is a mobile activation and marketing platform company. SnapTags, Social SnapTags and Buy it Now SnapTags are SpyderLynks proprietary 2D Mobile Barcode solutions enabling marketers to use meaningful logos and icons as interactive marketing tools. Consumers with smart or standard camera phones can use SnapTags placed on packaging, advertising, signage or screens. A smart, algorithm-driven platform powers campaigns ranging from simple to sophisticated accelerating purchase cycles and driving marketing results. Brands such as Coke Zero, Revlon, LOreal, MillerCoors, Warner Brothers, Toyota, Bud Light and others are using SnapTags and Social SnapTags to activate best in class marketing and accelerate their social connections. Based in Denver, Colorado, SpyderLynk was founded in 2006 and can be found online at http://www.spyderlynk.com. Follow us on Facebook, Twitter and through the #SnapTag hashtag. This entry was posted in Which Open Source Blog and tagged Direct, Mail, Participation, Postal, Promotion, Service, SpyderLynk, Sweetens, U.S. on February 28, 2013 by Administrator. expresscopy.com, leader in online design, print & mail postcards in 24 hours, helps Real Estate Agent, Phil Wax, find new clients with direct mail postcards. Expresscopy.com enhances their VIP Support with a new marketing consultation service teaching agents how to get better results with their postcard mailings. Providing our customers with strategies to improve the benefits of their postcard mailings was a natural evolution for our business, explained Joshua Carlsen, Director of Marketing for expresscopy.com. I absolutely recommend marketing to people multiple times. I don’t get results until I market to the same group of people 4 to 5 times. Also, you have to use different direct mail pieces, such as postcards and signs. People get bored receiving all postcards. Using these two methods, I get 1 to 2 new listings after each mailing, stated Phil Wax. Special Offer Save 20% off postcards on your first mailing when you enter promo code PR9293 at expresscopy.com. For more information, please visit expresscopy.com or contact Joshua Carlsen at 800.260.5887 or Joshua.carlsen (at) expresscopy (dot) com. This entry was posted in Which Open Source Blog and tagged Design, Mail, Only, Postcards, Print on February 14, 2013 by Administrator. DemandPrints, a Wilmington, DE-based printing and direct mail marketing company, has launched USPS EDDM (Every Door Direct Mail) Service. DemandPrints.com saves its customers time and money by providing the tools and resources needed to implement a direct mail campaign quickly and efficiently. EDDM is a new solution from the US Postal Service and stands for Every Door Direct Mail. It allows businesses to mail their marketing collateral for as low as 14.5 cents to targeted USPS carrier routes, a saving of 66 percent in postage compared to first class mail. It is easier than most would think and does not even require a mailing list, another area of cost saving. All you have to do is to select the carrier routes in the neighborhood you are targeting. 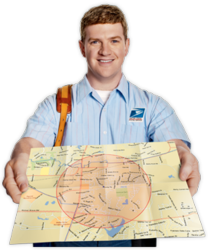 USPS will deliver your marketing collateral to every door in your target area. EDDM is the perfect advertising solution for small and medium size businesses. A small business it most likely to offer its products and services in their local community. If the goal is to generate awareness and peak interest by efficiently marketing their products and services to residents in selected ZIP codes, then EDDM is the best answer to generate quick success. Different from other online print shops and mailing houses is DemandPrints inclusion of OnDemand EDDM Direct Mail Marketing solutions among its product offerings. Instant access to the tools needed to create a campaign within minutes from start to finish is not available from any other online source. Customers can choose from print-ready professional EDDM postcard templates to create a customized mail piece, ensuring their message gets delivered in the most professional way. The fact that we offer everything our customers need under one roof not only increases their return on investment but also saves them many headaches, stated Angie Bowers, VP of Marketing. Our free downloadable templates, free design customization, targeted mailing lists, and quick turnaround make us a valuable resource for small and medium-sized businesses. Customers have many tools at their disposal when they sit down at their computer and log on to DemandPrints.com. Download and customize a high-end, full color, industry-specific template, upload an existing design, or work one-on-one with a team of experienced designers; use the online tool to target their local carrier routes and ZIP codes. Customers always have the ability to choose the print specifications and select to have the order shipped free of charge or a direct mail service. Because businesses marketing needs extend beyond standard mailing pieces like brochures and postcards, DemandPrints.com offers ten different product templates, for everything from business cards to restaurant menus, in addition to copying and finishing services. DemandPrints is a low-cost, hassle-free alternative to the major retail copy centers. Customers can upload documents or presentations and DemandPrints will print them and ship them to anywhere in the United States. Many businesses of all sizes and industries are printing QR or Quick Response Codes on their marketing materials. In fact, QR Codes are fast becoming a standard feature in print advertising. DemandPrints.com has the capability to generate QR Codes for its customers who can then track the activity originating from the code on its website. Our customers dont have to worry about being experts. We can help them come up with effective strategies for growing their business using targeted direct mail and fulfill all of their printing and copying needs at the same time stated Bowers. Anyone interested in learning more about DemandPrintss products and services can visit http://www.DemandPrints.com, call 1-888-566-1350, or email angie@demandprints.com. This entry was posted in Which Open Source Blog and tagged Businesses, DemandPrints.com, Direct, Door, Every, Launches, Mail, Mediumsized, Meet, Needs, OnDemand, Service, Small on February 11, 2013 by Administrator. expresscopy.com, leader in online design, print & mail postcards in 24 hours, helps Realtor, Pat Hackley, turns Just Listed properties into Just Sold properties. Once you list a property, they instantly send out Just Listed postcards and Just Sold postcards to the targeted homeowners that surround your listing, stated Pat Hackley. Weve recently introduced an automated Just Listed / Just Sold postcard program that completely automates the agents postcard mailers. Agents today are looking for solutions that save them time and money and our new automated postcard program, PulseMailing.com does just that, stated Joshua Carlsen, Director of Marketing. Special Offer Save 20% off postcards on your first mailing when you enter promo code PR9998 at expresscopy.com. For more information, please visit expresscopy.com or contact Joshua Carlsen at 800.260.5887 or Joshua.carlsen(at)expresscopy(dot)com. This entry was posted in Which Open Source Blog and tagged Design, Mail, PostcardsSecret, Print, Sales', Weapon on February 8, 2013 by Administrator. Only a few decades ago with the advent of Electronic Mail, the decline of the postal service seemed inevitable. But today it is well understood that the postal service plays a vital role in delivering the ever increasing amount of products users are buying online. According to a 2010 Connected Kingdom (BCG) report, in that year 62% of UK residents, or 31 million people bought goods and services online. Elementary Mail is a new service that allows users to send letters, cards and gifts to any address in the world by doing nothing more than spending a few minutes at their computer. Elementary Mail put’s users firmly back in the driving seat, giving them all the tools they need to create and edit Letters, Greetings Cards, Promotional material and much more. With a wide choice of designs users simply create each item to their liking and leave Elementary Mail to dispatch it the same day. “A mobile phone application will allow users to send mail directly from their smart phone or digital device, potentially making trips to the high street for stamps or stationary a thing of the past” In the meantime Elementary Mail’s mobile friendly website already supports a wide range of web enabled devices for those on the move. He continues, “The service isn’t just for UK residents, it offers a fast and convenient alternative compared with air mail for those looking to send postal mail into the UK”. Elementary Mail is the perfect solution for expatriates looking to stay in contact with friends and loved ones, as well as holiday makers looking to send mail or even a last minute gift back into the UK while on their travels. Users can also access a selection of letter templates ranging from CV’s to thank you letter’s, as well as an address book for keeping track of friends and contacts. This entry was posted in Which Open Source Blog and tagged Easy, Elementary, Made, Mail on January 28, 2013 by Administrator. 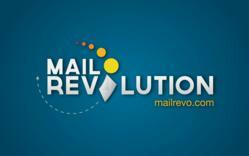 Mail Revolution is set to launch a new web site on July 19th that will revolutionize direct mail marketing. The goal of the site is to transform the small business owners current way of mailing marketing materials by offering a one-stop-shop to purchase postcards and brochures for advertising certain products or services. Mail Revolutions target audience is small businesses that want to advertise with marketing materials, but do not have the budget to successfully do so. Mailrevo.com offers a turnkey solution for direct mail advertising. With Mail Revolution, easily design custom templates for postcards and brochures, order a mailing list, and finish by completing the mailing. Mail Revolution created a streamlined process to allow for an easy-to-use navigation through the complicated process of mail. This site allows an individual to order a design and mail out a postcard or brochure without ever having to leave the computer. According to the study, USPS Household Diary Study, 2010, 79 percent of households either read or scan advertising mail sent to their household. Among that advertising mail, postcards are the most likely to be read when compared to various other shapes of mail. Additionally, consumers respond best to timely, relevant information catered to meet their specific needs. All of this data goes to show that American households continue to positively respond to direct mail marketing tactics when tailored to suit particular needs. With over 25 years of experience in business mail, Mail Revolutions staff are mail experts. These mail experts have provided an easy approach to designing, developing, and carrying out direct mail marketing campaigns without ever leaving the computer. The sites mission is to help small business owners get the highest return on investment possible with advertisements and marketing plans, without sacrificing time, money, and energy searching for the best prices. Join the revolution, and find out why Mail Revolution is a one stop shop for postcards, brochures, and direct mail marketing needs. This entry was posted in Which Open Source Blog and tagged Believe, Dead, Direct, Don't, Hype, Isnt, Mail, Marketing on January 21, 2013 by Administrator. There’s a new direct mailing service offered by the United States Postal Service called EDDM. This acronym stands for Every Door Direct Mail and is a service for small businesses to target local neighborhoods. This service is a unique opportunity for companies to spread the word about the products or services they offer. In the past many businesses have utilized the Internet to do this. However, with the Internet boom online ads are more crowded and many people are not paying attention to them anymore because of this. Every day direct mail postcards and flyers are received by individuals to promote businesses and are one of the most successful ways to advertise a business. One of the hardest parts about having a business is advertising and letting others know what they offer the community. EDDM can help a business do this easily. First, a business will have postcards or flyers printed up with pertinent information about their business. Information that should be included on the postcard includes the name, address and phone number of the business, as well as a brief overview of the business or service. The business will then have the post office mail these postcards to local neighborhoods in hopes of letting households know about the services they offer. Some businesses will also offer a coupon or incentive on the card, such a free gift, to coax individuals who receive the postcard to patronize the business. There are many benefits to a business utilizing EDDM. The biggest benefit is that it is a lot cheaper than doing a standard mass mailer to local neighborhoods. Businesses do not have to open up a postage permit just to mail out the postcards. Postage permits are expensive and cost over $ 400, which might not be an expense a business that is just starting out or struggling can handle. By comparison EDDM costs less than 15 cents per piece mailed. Also, businesses don’t have to search for specific addresses to mail out postcards or flyers too. Instead, the postal worker that is delivering the mail will just place a flyer or postcard in the mailbox of each person that is on their postal route. 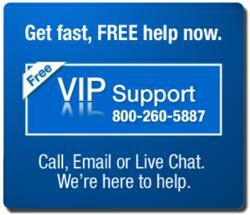 This service is a way to reach a large amount of people in a short period of time. To utilize EDDM, the business will need to find someone who is versed with EDDM printing and will need to obtain these services from a reputable printing company. Egprint.net, a wholesale printing company, can do that for you. Egprint.net is an online printer that is located in Miami, Florida. They can print products for businesses anywhere in the world. They offer a wide array of products such as business cards, postcards and brochures, as well as a 24 hour turnaround time and easy online ordering. Egprint.net has prices that are very affordable even for those businesses that have a low budget for marketing services. Free Design Templates are also available, and customers can order a sample request to ensure that they are getting what they want before they commit to ordering it. This will prove to be a return on investment for many businesses. Many businesses can benefit from ordering products from egprint.net and utilizing EDDM services. Businesses such as restaurants, hair salons and dentists may offer great products or services, but struggle to let individuals in the community know where they are located and what they offer. By ordering postcards using egprint.net and mailing them to neighboring households by utilizing EDDM services, these businesses can let these households know that they are in the area and wish to gain them as customers. By sending out an EDDM postcard that was printed utilizing egprint.net, the business can rest assured that they will successfully let others know about their business and gain customers. To get started, a representative of the business will need to go online and create a USPS business account through the USPS’ Business Customer Gateway. They will need to write down their Customer Registration ID because they will need it for the form PS Form 3587. Then they can use the online tool to choose mailing routes to send their promotional full color postcards to. This tool will estimate the number of households and businesses in the area so that the business can estimate the amount of postage needed to mail the postcards. Afterwards the individual is ready to contact EGPRINT.Net. AT this point they can help you with all your design, and printing needs. Start growing your business today, and call EGPRINT.net, Your Print Super Store. This entry was posted in Which Open Source Blog and tagged Direct, EDDM, Egprint, Every, Mail, Offering, Postcard, Printing, Services on January 7, 2013 by Administrator. This entry was posted in Which Open Source Blog and tagged , Discounts, Express, Mail, Offer, Priority, ReadyShipper, Shipping, Software, Suite, Team, Through, TrueShip on December 28, 2012 by Administrator.